The prime minister also rejected the idea that a no-deal Brexit would be best. British Prime Minister Theresa May answered questions from lawmakers on Wednesday ahead of a meeting of EU leaders in the evening where she will make the case for another Brexit extension. May wrote to EU Council President Donald Tusk last week to ask for a second delay until June 30. She visited Berlin and Paris on Tuesday to meet with Angela Merkel and Emmanuel Macron to gather support for her plan. The visits came after parliament's upper chamber approved a bill on Monday evening to force May to push back Brexit. Wednesday's face-off with lawmakers was much quieter than usual for May with the rows of seats partially empty in contrast to the packed, loud room she has had to reply to in recent weeks. A great many of the questions thrown her way were not related to Brexit with Jeremy Corbyn, the leader of the main opposition Labour party, eschewing the topic altogether in his three questions, preferring to quiz May on government cuts to councils. The government and the Labour party have been engaged in cross-party talks since last Thursday in an effort to reach a consensus that would break the Brexit deadlock. Still, May told lawmakers that she continues to believe the deal she reached with EU leaders back in November and which was rejected three times by parliament remains preferable to a no-deal Brexit. She also said that her position on a second referendum — favoured by Remainers across party lines — "has not changed," meaning she remains against. 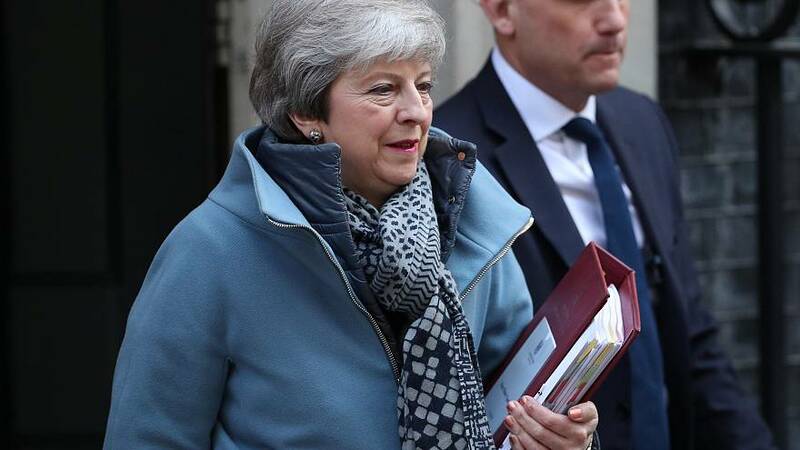 She also defended the talks with Labour after Ian Blackford from the Scottish National Party (SNP) warned that "Scotland won't be forced to accept what these two Brexit parties are preparing to serve up." May retorted that Scottish independence, which was rejected in a 2014 referendum and for which the SNP campaigned, would have resulted in Scotland being out of the EU. EU leaders are to decide at a summit in Brussels starting from 1800 CEST whether to allow the delay and by how long. If they do not grant the extension, the UK is scheduled to leave without a deal on April 12 - which is on Friday. Tusk is to propose the bloc offers the UK a "flexible" extension of up to one year, a senior EU source confirmed to Euronews last week. Macron is reportedly keen to ensure the UK leaves in December at the latest, but Merkel told the Bundestag on Wednesday that the EU should back a longer extension than May has asked for. "I believe we should make an extension for several months but not drag it out. So if Britain has made its decision then an exit can take place immediately," she said.